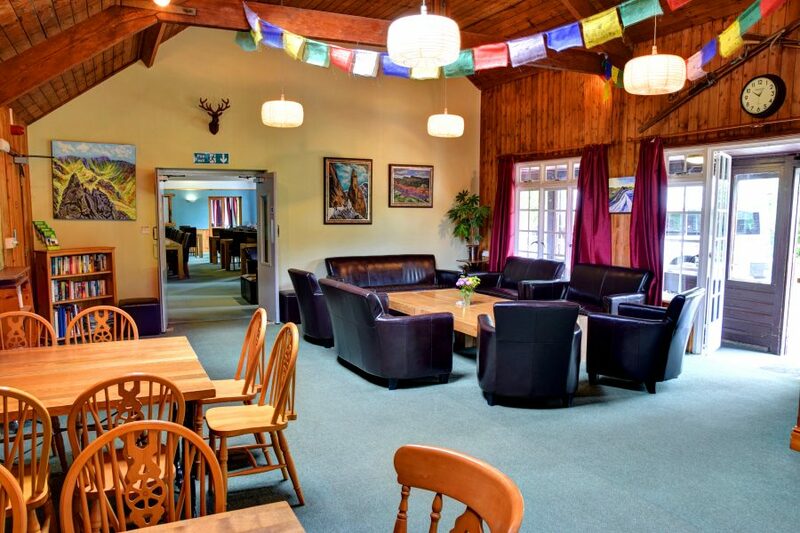 Nestled in the Borrowdale Valley at the foot of rugged crags and impressive fells is Borrowdale Youth Hostel. My family and I spent one night in this ski chalet-styled property and thoroughly enjoyed our stay. 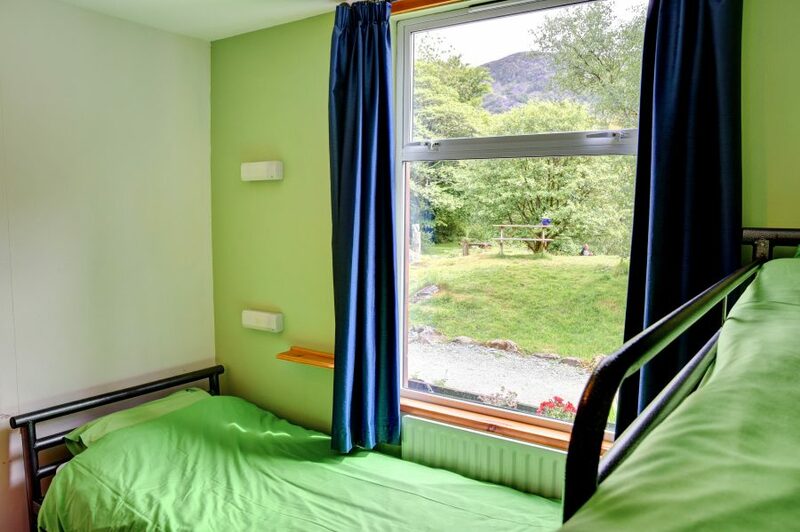 Yes, it was the end of July – school holiday season – which meant the hostel was packed and the car park crammed with vehicles, but there was still a relaxed atmosphere within the hostel and we’d rate it among the best we’ve experienced in the Lake District. One of the hostel’s key selling points is its location. If you’re looking for the amenities a town offers, Keswick is less than ten miles away, while the walking opportunities on the doorstep are plentiful. 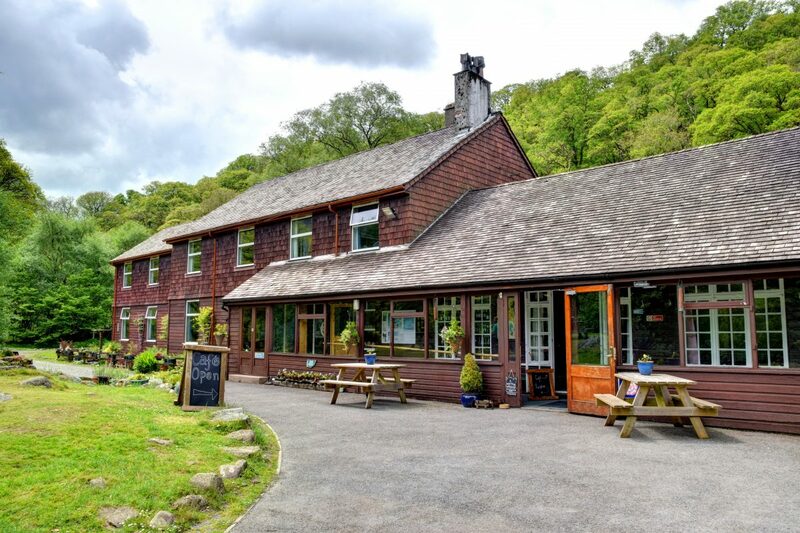 At the head of the valley are Scafell Pike, England’s highest mountain, and mighty Great Gable, but there are so many peaks in the vicinity to choose from; it’s clear to see why this hostel is a recommended stop on Wainwright’s Coast to Coast long-distance walk. Borrowdale is a beautiful corner of the Lakes, with the valley itself running from the southern shores of Derwentwater to Honister Pass. Considering the beauty all around, it’s hard to believe that this area was once littered with signs of industry, including iron smelting and copper mining. 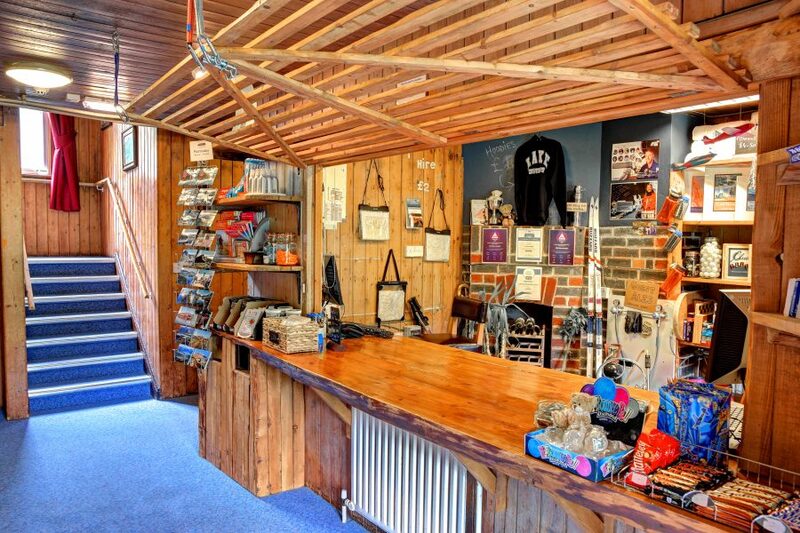 It’s a large hostel, offering 86 beds, camping pitches and wooden camping pods. Everyone uses the same car park, although there are separate washing facilities and toilets for campers. Inside, it’s a mixture of dorm beds and private rooms. Being a family of four, we occupied a room with bunk beds and a sink, which is always useful. The room was clean and close to the showers and toilets. 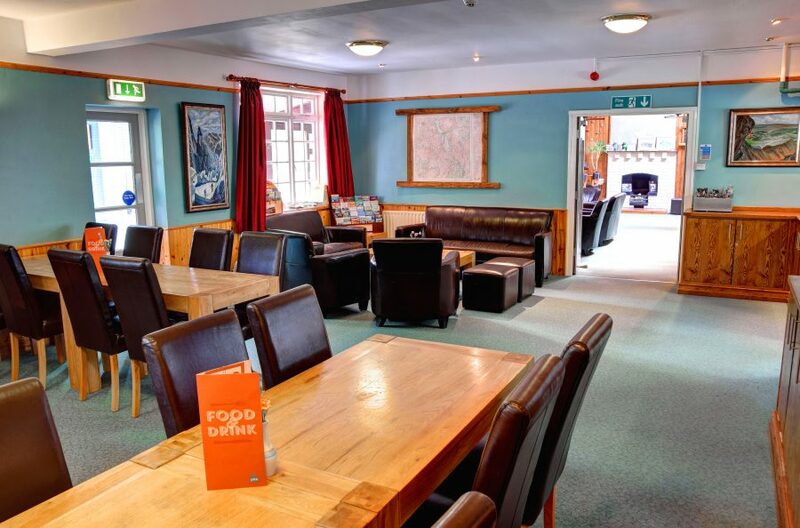 Downstairs, the large communal area included a well-stocked bar, plenty of seating, a self-catering kitchen and games room. 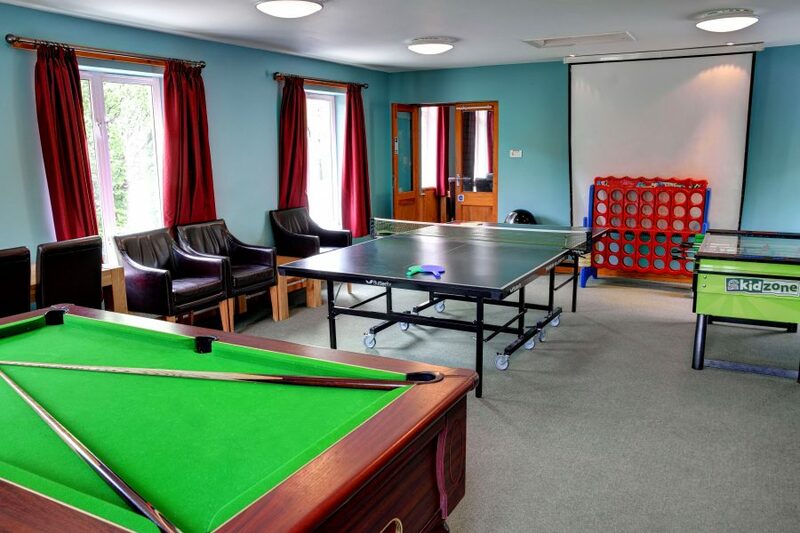 We found the games room a real bonus and spent much time playing table tennis and pool or making use of the selection of free board games available at reception, where checking in was completed smoothly. Being busy with everyone trying to log on to the free wi-fi network, I was never able to get a connection during the entire evening – this was a little frustrating. I guess, however, that more success would be achieved during quieter periods. A nice selection of evening meals, which had to be booked at reception, were on offer from 6pm. One free kid’s meal is available per adult main meal when ordered at the same time. Packed lunches are available and, of course, a hearty breakfast, served from 7am; pre-book your breakfast and get 10% off! The quality of food looked good and it was clear that the lion’s share of people chose cooked meals. However, we always like to self-cater at youth hostels so cooked our own dinner. The self-catering kitchen was well-stocked with three fridges, two ovens, three hobs, microwave, two toasters and everything else we could possibly want in terms of equipment. My only grumble is the lack of space for anyone choosing to self-cater. With so many reserved signs on the tables, we were lucky to find a spot where we could sit and eat our meal; perhaps a table or two could be assigned for anyone self-catering. Overall, though, we enjoyed our stay and definitely hope to return. 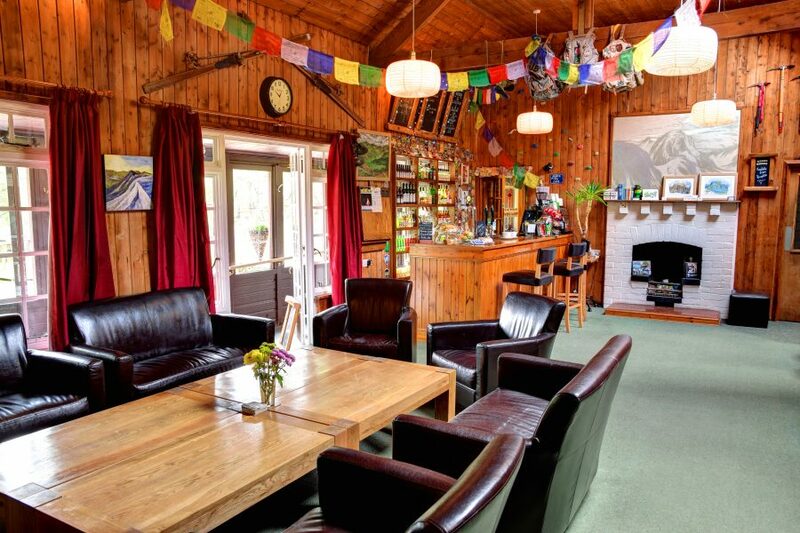 I can see why this hostel has become many people’s favourite in the Lake District. Highly recommended.